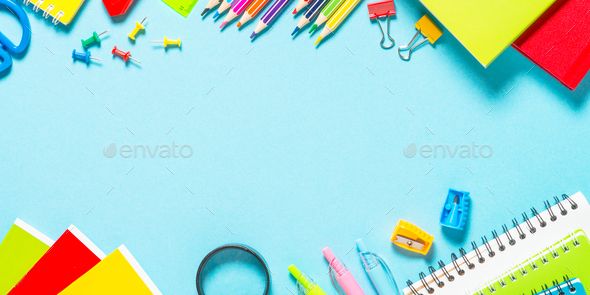 School and office sstationery on blue background. Notebook, notepad, pen, pencils, paper clips and stuff. Top view with copy space.